With a huge experience in the field of Internet marketing, come4seo undertakes extreme pride in introducing training programs related to Internet Marketing, pay per click training, SMO/SMO and PPC for freshers, professionals, corporate companies and individuals. We offer adept courses for aspirants willing to build their career in the same field. Our dynamic team of handpicked professionals in the industry will take good care of the needs who have spent many valuable years in the industry gaining expertise in the vast field of internet marketing. The courses at come4seo have been designed in a fashion to enhance and boost the ROI of any website. The training services can serve as a dynamic platform for your career in the online advertising industry. 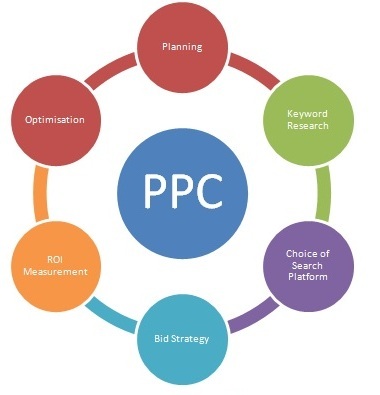 Our services majorly emphasise on PPC training, one of the integral and inseparable part of search engine marketing and optimization services. Since pay per click is an essential marketing tool, it needs to be embedded in any of the modern training programs. However, come4seo has taken special care of planning a special yet affordable fee structure to facilitate aspirants ensure comprehensively researched and guaranteed results sans the financial burden. Google Adwords training course is also one of the integral parts of our overall training program. We have special trainers holding expertise in the field of Google Adwords who will update you with the current marketing trends and unveil important facts about the concept. This will help you in the long run. Google AdWords has presently evolved into Google's main advertising product and main source of revenue. Being the simplest way to promote a local business online on various modes including Google Search, Google Maps and many more, this is an important aspect to learn for a prospective internet marketer to excel in his field of work. Reach us at info@come4seo.com or comefourseo@gmail.com for brilliant PPC solutions for your business online now! © 2018 Created by Come4seo.com.